Congratulations are in order to the four RAD-endorsed candidates who won on Tuesday, as well as the two candidates who fell short (but ran inspired campaigns). 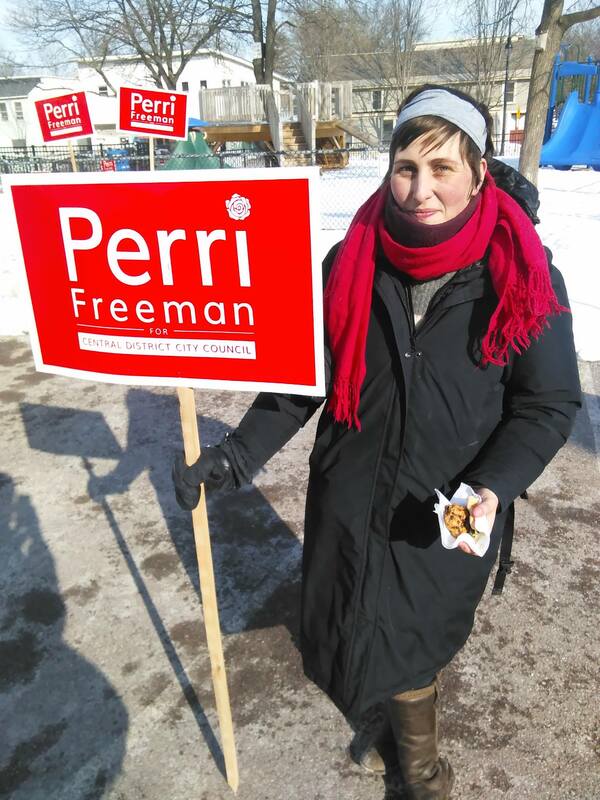 Of these six candidates, Waszazak, Freeman, Hanson and Filskov all won! Waszazak was sworn in the very next day and will take his seat on the council next week, while Hanson and Freeman will be sworn into office in April. 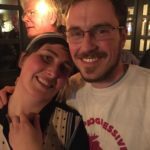 Freeman is a former RAD organizer and Waszazak was just elected to the Rights & Democracy Board of Directors (so these winners are doubly RAD). Teddy Waszazak with his official paperwork – he’s now a City Councilor! Both Christianson and Jafar ran strong, spirited campaigns and it’s likely that they’ll both be back on the campaign trail in the future. And, we hope so. 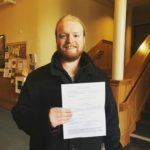 In addition, RAD staffer Jaime Contois won a seat on the Putney School Board and RAD member Daniel Quipp won a seat on the Brattleboro Selectboard. 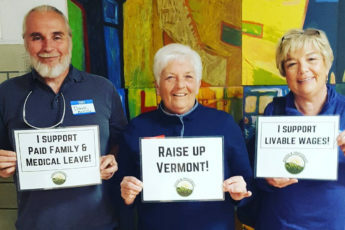 RAD member Gina Ottoboni, who was one of our endorsed candidates for the Vermont House last fall, ran and won a seat on the Chittenden Selectboard. To all RAD members: Getting folks elected is just the first step toward success. Keep watch on what these candidates need in terms of support to make the change we all want to see in our communities. They’ll still need you to door knock, to canvass, to show up at meetings and to help put into action the ideas that connected to folks on the campaign trail.